The Hawai’i Public Health Institute (HIPHI) collaborates with a range of community partners on policy and cultural change around health, including tobacco use, access to nutritious food, and physical activity. Two decades ago, the institute began as a tobacco control coalition, spearheading the campaign to pass a comprehensive clean indoor air law, making Hawai’i a smoke-free state. And, in January of 2016, Hawai’i became the first state to raise its age of sale to purchase tobacco products (and e-cigarettes) to 21! HIPHI also recently expanded its staff to build island-specific Healthy Eating and Active Living (HEAL) community coalitions. Efforts are already underway to promote Hawaii’s Choose Healthy Now program, improve wayfinding, and support complete streets. At HIPHI, nothing matters more than community. Every quarter, the staff takes a “Perspectives on Community Health” trip to meet and learn from a community-based organization. Through these visits, staff learn about specific challenges communities face and are mindful of opportunities to work together. This helps HIPHI build bridges and to truly be a #hubforhealth for community groups seeking policy or cultural change around health. See a visual diary of HIPHI’s work on Instagram. HIPHI is building healthier communities through partnerships with government, academia, foundations, businesses and community-based organizations. HIPHI provides issue-based advocacy, health promotion and education, technical assistance and other capacity building services–supported by fee-for-service contracts, grants, and donations. Launched in 2013 in partnership with the National Network of Public Health Institutes (NNPHI), HIPHI builds on the success of the Coalition for a Tobacco-Free Hawaiʻi (CTFH), which was founded in 1996 and now continues as a program of HIPHI. 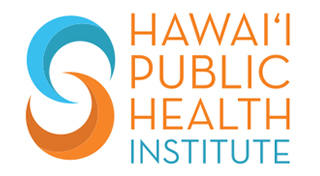 Get in touch with the Hawai'i Public Health Institute.